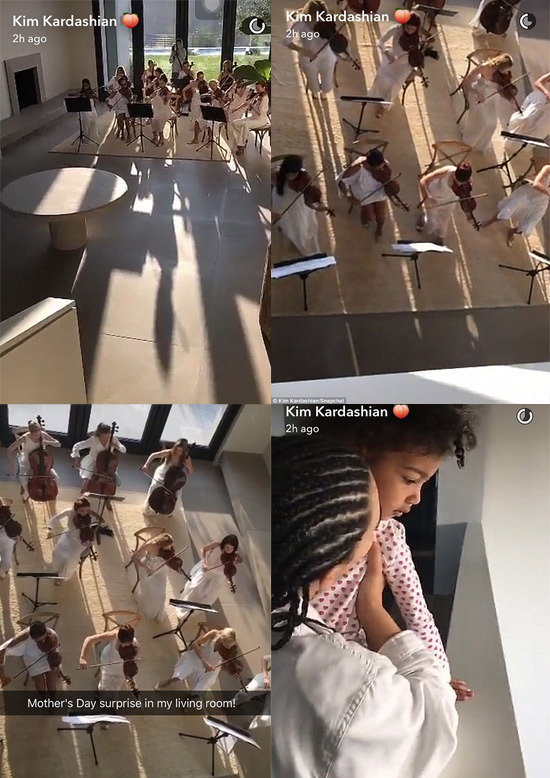 On Sunday, twelve of our finest Los Angeles based string players performed a variety of songs for Kim Kardashian in her house, when she woke up on Mothers Day. They performed a selection of music chosen by North and Kanye, including ‘Let it Go’ from Frozen and ‘Tomorrow’ from Annie. Well done Wired Strings LA! Great performance. So proud of you!